It’s officially official! 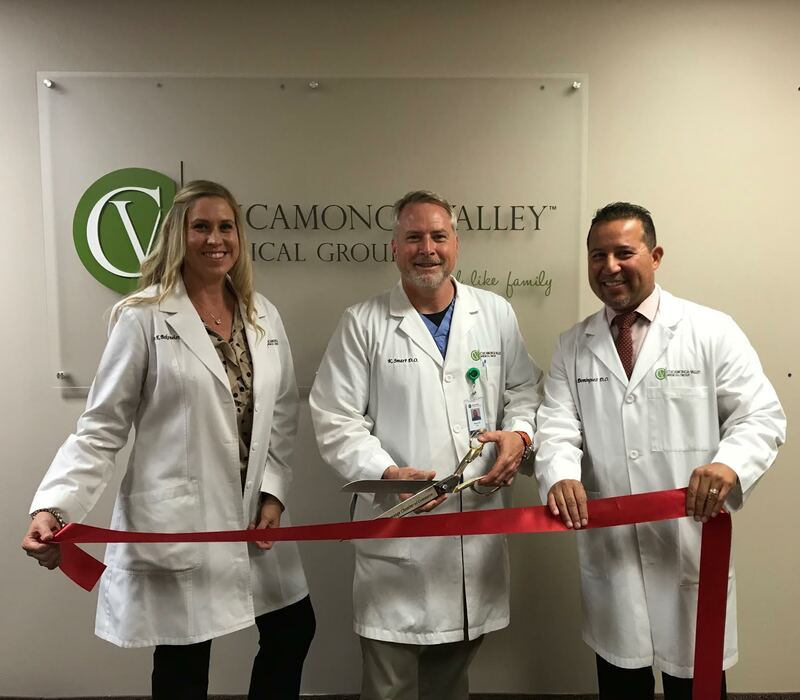 Cucamonga Valley Medical Group has opened its sixth location. Our new spot is located in Rancho Cucamonga. This new location is a major milestone for our CVMG family. It signifies immense growth in our practice, our providers, and our employees. With the addition of Rancho Cucamonga, our family is expanding, and we couldn’t be more excited. Not only will we retain the existing patients at this location, but we also expect to add three new providers to our team. While the CVMG Rancho Cucamonga location symbolizes growth, it’s also geared towards making our patients lives, experience and health better. Our patients now have access to another top-notch CVMG facility. On top of the great quality of care, we hope that this new location provides more location convenience to our patients. To kick things off with a bang, we hosted a ribbon cutting event on August 21st. Filled with friends, family, CVMG team members and community members, we made sure that our new location opening was filled with excitement and promise. You can see more photos of our ribbon cutting event on our Facebook.